Little Miss Perfectionist: Baking soda for exfoliating your skin and deep cleaning your hair! 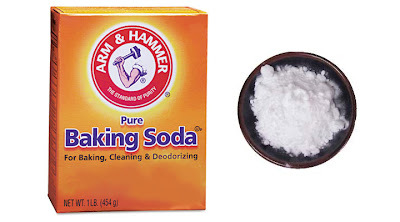 Baking soda for exfoliating your skin and deep cleaning your hair! This little trick is good for smoothing out skin and getting it to glow! There are different ways to go about using it. You can either sprinkle some in your cleanser before washing your face for a more gentle use, but what I usually do is after cleansing my skin, I sprinkle some in my hand and use it as a scrub to polish my skin ( I usually do this is the shower but it can be done outside the shower as well. You want to rub (not too hard especially if you have sensitive skin) then rinse off. You don't want to do this too often, once or twice a week, and make sure never to over exfoliate or you will create “raw” looking areas on your skin (reddish patches) that will dry up more than other areas. I use a bit of baking soda in my shampoo when I want to get rid of any dirt or accumulation of hair spray/mousse and so on. It works really well to deep clean your hair! Using baking soda to exfoliate my face made my skin pretty smooth afterwards, it felt a bit tighter and apparently it can help with acne prone skin. I don’t get many pimples anymore so I mainly used it for polishing rather than to treat blemishes, but it’s supposed to really help with that. Baking soda is free of harsh chemicals. 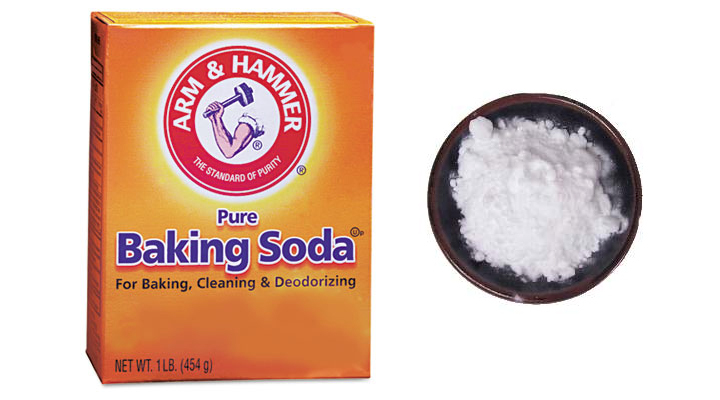 You can consider treating acne with baking soda as a natural remedy! Just don't rub this in your skin too hard to avoid irritation. Since you're removing the top layer of skin, you will want to use this with sunblock if you have freckle prone skin.